Compare and contrast essays are a common assignment type. Usually, such tasks are associated with various problems, so students don’t like to write essays. However, this task isn’t as difficult as it seems, so we decided to help you with advice so you can write your compare and contrast essay easily. It’s impossible to write a good essay without reading what you’ve been assigned. You also cannot just take a quick glance at your texts. Instead, you have to analyze them carefully. The better you know and understand what you’re writing about, the more information you can use in your piece of writing. We suggest reading your assignment carefully and taking notes. Always mark details that seem important, this will allow you to start writing having a clear understanding of what you’re going to do. Make a list of similarities and differences. Note everything that your works have in common as well as what makes them different. If you made notes when reading sources, this task won’t be a problem for you. You may want to write down a table with columns or just to jot down keywords that will help you recall more information. Don’t edit your work during this phase, just write whatever you think is important. The more data you have, the easier the writing process. What is the most important difference between two sources? What is the most important thing they have in common? Perhaps your texts have the same general topic, but their key messages are completely different? You’ll need to prove your point. If you want to write a good essay, you must prepare for it. This is why you need an outline — this is a skeleton of your paper. You have to plan the structure of your essay. For example, the most common structure of compare and contrast essays includes an introduction, a body, and a conclusion. In total, these three parts are usually about six paragraphs long. The introduction must answer the question why you think your observations are important. For example, you can write: “I think, it’s important to know the difference between these two sources because…” After this, write the body of your essay. It must be four paragraphs long. You can organize these four paragraphs the way you want: write two paragraphs about the first source, and then focus on the second one, or write the first part of the body about similarities, and then get to the differences. You can also combine these models and create any flow of thoughts that fits your agenda best. The conclusion of your essay should restate your general idea and remind your readers why you think your observations are important for an understanding of both these sources and what is the importance of your essay in a more global context. Once you’ve written an outline, all you need to do is support your arguments with evidence. This is the only way for you to prove that your opinion is right. Given the complexity of compare and contrast essays, it will be enough for you to support each point with at least one good example from every source. However, some assignments require you to involve some outside opinion, providing quotes of some experts or quotes from other sources related to the texts you’re writing about. Once you’ve finished writing your essay, take a little break and then check it for errors. 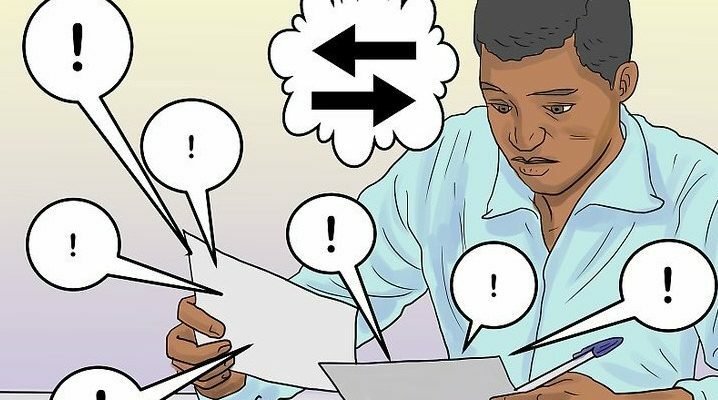 Not only must you fix all grammar, spelling, and punctuation errors, but you also need to check logical connections between your arguments and pieces of evidence. As for grammar mistakes, we recommend that you find somebody to help you with editing because the second pair of eyes will find many minor details that could hide from you while you’ve been writing. Ask your parents or your teacher to read your paper. You can also order professional proofreading and editing online, to make sure your paper is perfect. That’s it! Compare and contrast essays are not really difficult to write if you prepare for it and organize your work properly.